Members only! Any cigar enthusiast would be proud to "serve" cigars out of his Personalized Racquet Club Cigar Humidor. Any true aficionado knows that a humidor is an essential piece of equipment to ensure the freshness of a cigar collection. 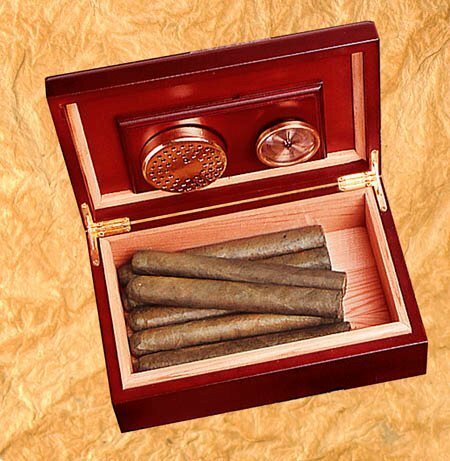 Humidor measures 9-1/2" by 3-5/8" by 7." 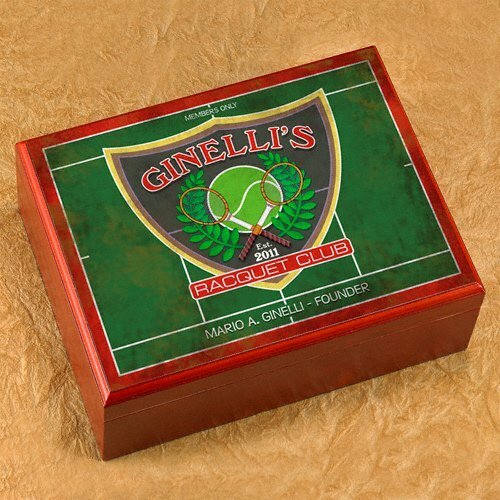 Full-color design is personalized with first and last name of the racquet club's owner and the year it was established.